I've become obsessed with decor since becoming a homeowner, so it should come as no surprise that news of the West Elm x Etsy pop-up shop instantly piqued my interest. Curated by Jan Halvarson of the design/lifestyle blog Poppytalk, the event features 18 local artisans selling handmade wares that go far beyond home decor. I caught up with Jan and got the inside scoop. 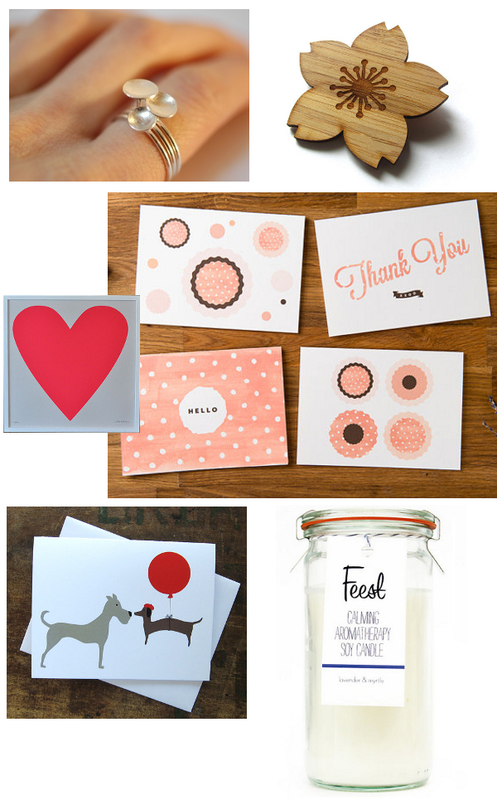 How did you become involved in the West Elm Etsy Pop-Up Shop project? West Elm has for years been an amazing supporter of handmade and I'm guessing because of that and their work with Etsy, they were aware of my love for handmade through my blog. I am honoured they asked! What sorts of unique finds can people expect to find this Saturday? We'll have some really cool bamboo brooches and pins from Cabin + Cub (whom I've been a fan of for years), floating rings from Colleen Baran, prints and paper goods from Banquet Atelier + Workshop, Lemonni, and The Beautiful Project, gorgeous baskets from Landon Dix Design Craft, and there will even be some market-related products like Feest Home featured at West Elm Market right next door to West Elm. Is there anything in the shop you're eyeing for yourself? I've been eyeing the cacti print from Banquet Atelier + Workshop for quite some time and I'd love one of Colleen Baran's stamp rings. Any final shopping tips for readers? As each seller will be selling individually, it might be best to bring cash, but I think many of them will have card readers as well. It's always fun to get to know the makers and hear stories about their goods too, so take some time to chat with the makers! 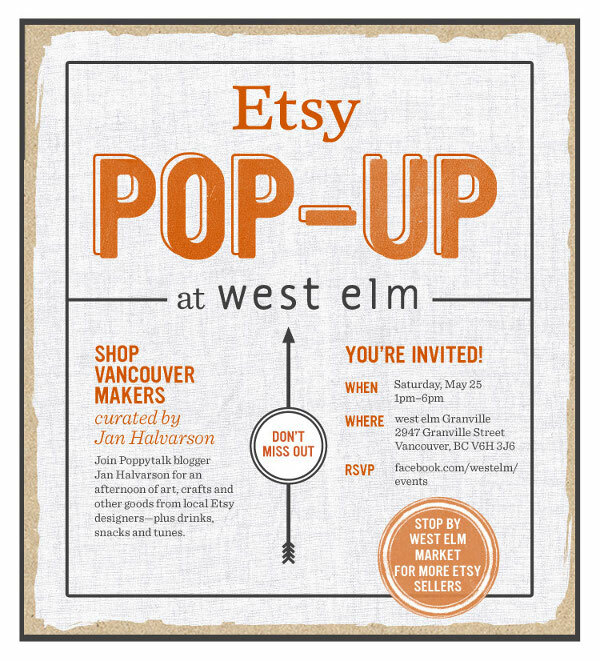 The West Elm x Etsy pop-up shop is happening Saturday, May 25, 1pm-6pm at West Elm and West Elm Market on South Granville. Full details are in the flyer below. I suggest you mark your calendars and set aside some dollars now!